Ward's bulk simulated blood contains enough quantities to supply all of your lab sections. 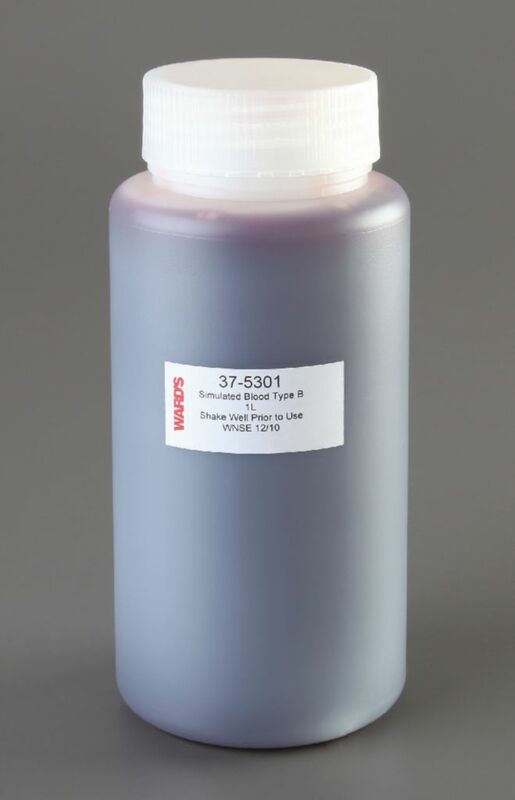 At the request of our college customers, we now offer these convenient bulk refills for our exclusive Simulated ABO and Rh Blood-Typing Lab Activities. Instructions for performing blood typing using this product can be found in the teacher's guide and student copy master that accompanied the purchase of the lab activity. Ordering information: Each blood type is provided in a 1L bottle. This product requires Ward's Simulated Antisera, available separately.